We would love you to visit us so that you can appreciate our passion for the land and wine. 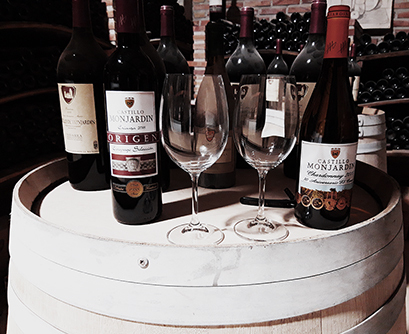 You're welcome to come to Bodegas Castillo de Monjardín winery, whenever you like, our doors are always open so that you can discover the secrets of our work. You are warmly invited to come and get to know us. 9 am to 7 pm, Mondays to Fridays. 11 am to 2 pm on Saturdays.